Music is kind of a big deal in our family. I don’t know if I have mentioned that before. Eddie is a music fanatic. From in the womb I could feel him come to life whenever the bass was pounding in my car. Charlie is not far behind his brother. Whenever we have music on, Charlie laughs and claps as Eddie dances and performs. It is amazing. 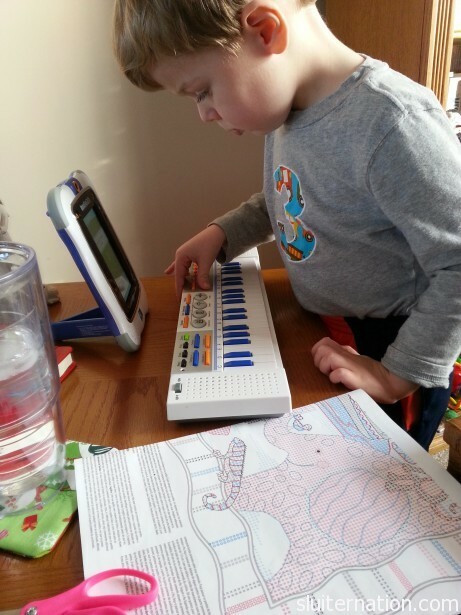 For Christmas, Eddie was given a small, toy keyboard by my parents and a V-Tech tablet from us. The tablet has a music app which he loves. Of course, all the music sounds like it came out of a techno club and that we should all automatically be waving glow sticks around when Eddie turns it up. His favorite setting on the keyboard are all the beats. And by “beats” I mean a variation of the bump sound from those glow stick clubs. 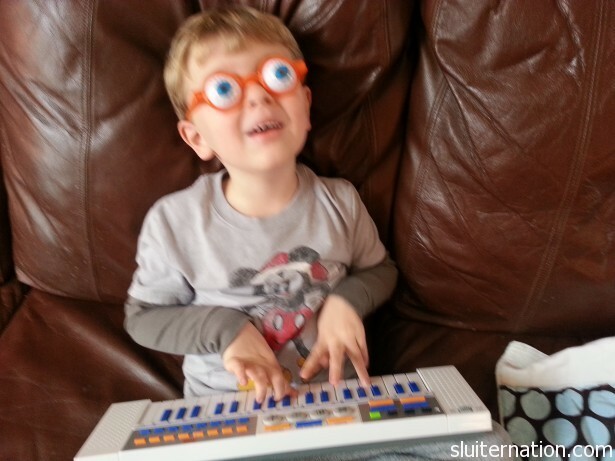 He even found these glasses from Halloween that he INSISTED went with playing his keyboard. Whatever, dude. 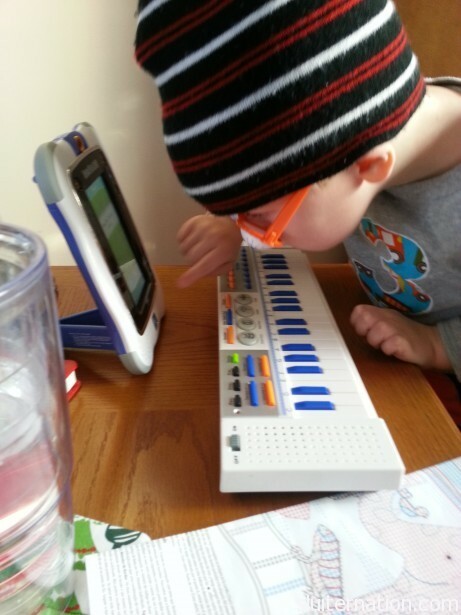 One day, he realized he could combine the pre-recorded “tunes” on the tablet with the “beats” on the keyboard. Yes, the pants are on backward and the shirt is tucked in. He pees by himself now, remember? He set up his own little “music station” next to my chair and for no less than 10 minutes worked quite seriously to figure out the perfect song he wanted to create for me and his baby brother. Oh, and it wouldn’t be complete with a costume. He did this on his own with zero input from me. Anyone need a DJ for their next Par-Tay? I think 3 and a half is old enough to get a job and start bringing some cash flow into this house, right? Did I mention he also dances? Because he so does. Friends, I couldn’t make this up if I tried. I didn’t have the heart to tell him this dance had already been invented. He was just so into it. As you can see, Eddie doesn’t really differentiate between music styles. He loves it all. 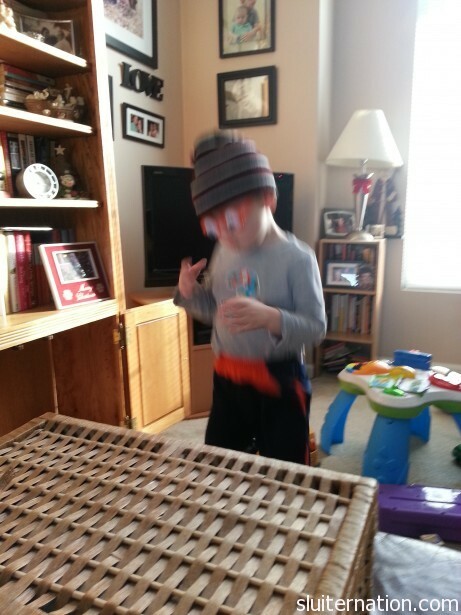 Rap (he LOVES the Beastie Boys), rock (He can name many a Beatles and Pearl Jam tune just by hearing it on the radio), pop (the boy is gaga for Gaga), church tunes (he asks my mom to turn on music so he can sing and dance), and kid music. If a show has a song, it’s his favorite show. Which means he LOVES the Disney Channel. I mean, it’s like LAW that if you are going to be a Disney character, you will have a song or 700, right? And Eddie loves it all. From princess to pirates and all the walking, talking animals saving sea creatures and counting to 10 in between, Eddie knows all their songs. And guess what…he wants YOU to have some new music to jam to! Eddie and I have the opportunity to give SIX lucky winners brand new, not even out yet Disney CDs! 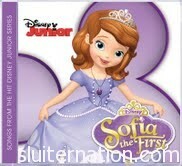 First, I have three copies of the Sofia the First Soundtrack to give away. This CD isn’t set for release until February 12, 2013, but YOU could win a copy NOW! 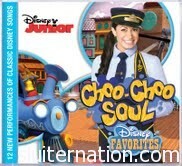 Secondly I have three copies of Choo Choo Soul: Disney Favorites to give away as well! This one won’t be released until January 29, 2013, but again, I get to give away copies now! So you want to win? Great! Follow the directions in the Rafflecopter Widget below. Disclaimer: I was not compensated for this giveaway other than to jam to some sweet music. Winners will be chosen at random after the contest closes on Sunday, January 27. Winners and prizes will be randomly paired. OMG I just crumpled onto the floor from the cute. The outfit! The rocking moves!! I’d hire Eddie, any time. We love the Disney channel, especially Sofia. It’s my daughter’s latest character when acting. We would LOVE the Sofia soundtrack, both my daughter AND son are loving her right now. And I find her very sweet and endearing, and love that she doesn’t let anything stop her. Since both my kids are currently obsessed with Sofia, I hope to win that one. I’d totally hire him. So adorable! soooo cute! he reminds of me of Jacob, who loves music like this..who sings almost everything he says, and Gio too (who has affection for Train, Maroon 5 and Adele) . Awesome. My little one is so into music, particularly Mickey of course. Particularly love the glasses on Mr. Eddie! We LOVE all things Disney… this would be awesome! Okay, your kid is so cool and so hilarious. I love it. Of the two CD’s I actually recognize what’s on Choo Choo Soul, I’ve never heard of Sophia. I’m so out of the kid loop. Guess I should fix that, huh? My kids have always been into music, but mostly just the listening part, not the producing of it. My husband plays the cello and I used to play the flute, so the kids would bust out the few songs they know on the piano or guitar and we’d play very badly together. We decided we’d go on tour as the Von Crap Family. My almost 3 year old daughter LOVES Princess Sofia. Her character is in heavy rotation during dress up. My boyfriends daughter would love the Princess Sofia! Tried to enter via the twitter. Did the tweet but can’t post the URL because there isn’t one on the iPad….it’s weird. Oh well. my Emmie would go bonkers for Sophia!!! loves her!!!!! would to win either of them, Sophia the first would be my number 1 choice because it’s a new obsession around our house. My daughter is nuts for Sofia and she would love to have this soundtrack!! Eddie is awesome! Maybe he can start w/ DJing kids birthday parties. My son (3 1/4) currently loves to groove to the Cars Soundtrack and the Curious George soundtrack(s), while my daughter (18 mo.) seems to enjoy ballads and such better. I very sick of hearing the Cars Soundtrack, so new music would be great (if I can get them to listen to it). of course, sophia. I have a bunch of wannabe princesses up in this joint. I would love either one! We’re big Sophia fans, especially, but you have to love Choo Choo Soul! Oh a choo choo soul cd, my son loves them. I would LOVE the Choo choo soul cd for my nephews! They adore music. We have dance parties rather frequently.